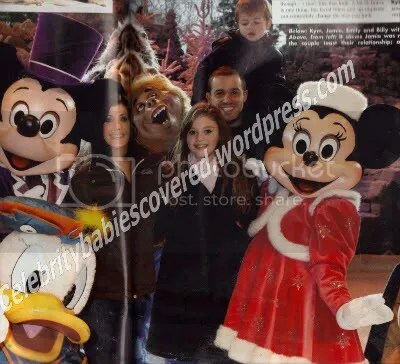 Actress Kym Marsh and fiance Jamie Lomas appear in this week’s OK! 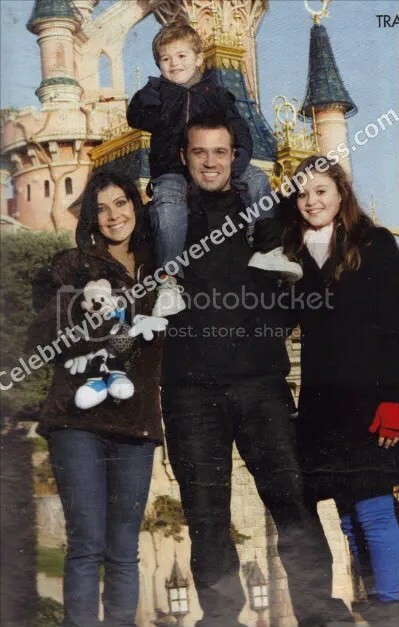 whilst on holiday in Disneyland Paris with Kym’s daughter Emily May, 12,(she is also mum to David Ryan, 14 — who was present but didn’t take part in the shoot.) and Jamie’s son Billy, 4. 2009 was a very difficult year for the pair as their son Archie Jay was born 18 weeks premature and sadly passed away moments after his birth. Together they talk openly about that difficult year and how they’re coping now. Jamie: We had one of the toughest years we’ve ever lived through, but at the end of the day, what doesn’t kill you makes you stronger and we’re stronger now. Kym: The thing is, Jamie and I have other children who we have to try and be there for, and it has been really difficult, but we’ll keep soldiering on. J: We had a party on New Year’s Eve, because we really wanted to see the back of 2009 and start 2010 on a big high. K: Sometimes you hear about things that happen to other people and you think, how do they cope? And then it happens to you, and it is hard. You start to lose faith in anything good. But you just have to keep going. K: I think we will try again when the time is right, when I’m feeling a bit braver. We have to be prepared for the whole thing and any complications that could happen. It wouldn’t be something we would do just on a whim. I had David early, so that’s two premature babies now. I’ve got to be looked after carefully. K: I found it very cathartic and I met a lot of people who have been through the same thing. I really wanted to do something to make people aware of what a serious issue it is and how little there is being done about it. I’ve had so many letters from people who want to make donations to Tommy’s, the charity that funds research in to miscarriages, stillbirths and premature babies. When you’ve been through something yourself, it makes all the difference to other people. K: I was really delighted by that, especially because of the year we’ve had. It was nice because it was voted for by other parents. Just to think that people think you’re doing a good job with your kids is lovely. J: We get on great. I love them to bits. K: He winds our Emily up something rotton, though. He says she’s very ‘spirited’ — which is better than saying she’s a cheeky madam! J: She’s just like her mum. She’s always singing. She’s going to be a proper little star. K: She’s doing drama now as well, and she’s ready to go for auditions. I know I’d be a hypocrite if I tried to discourage her. She is really talented, you can see she’s got something special, but it’s scary. 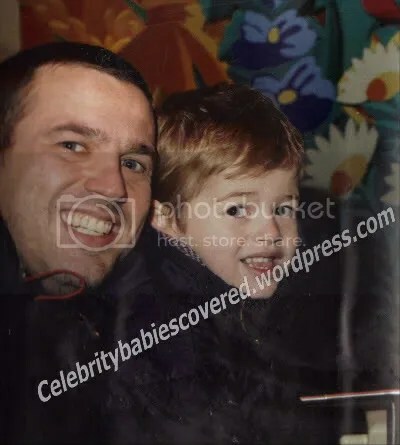 This entry was posted in Dad and Child Photos, Interviews, Magazine Shoots, Mum and Child Photos, News. Bookmark the permalink.